Expanded use of converged security and information management platform will support physical and IT security program at DP World London Gateway. London Gateway, one of the U.K.’s major ports owned and operated by DP World, has implemented converged security and information management (CSIM) software port-wide to increase security and provide overall situational awareness capability. Situated on the north bank of the River Thames, the deep-sea container port is located next to Europe’s largest logistics park, providing shipping access to key U.K. consumer markets. 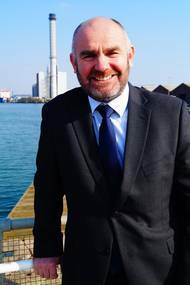 BIMCO has appointed Philip Tinsley as its new Head of Maritime Security. Tinsley joined the association in 2015 and assumes his new position after the sad and untimely death of his colleague, Giles Noakes, earlier this year. 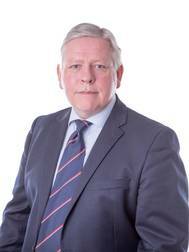 Before joining BIMCO, Tinsley spent 31 years with the Royal Marine Commandos – an elite specialist unit of the British Royal Navy, where he reached the rank of Major. His time with the military included both coastal and shore-side operations on a global scale and warfighting, with a specialisation in cold weather warfare. On January 1, 2017, Seafarers UK, celebrated the start of its Centenary Year. To mark this anniversary, Seafarers UK is holding a number of special Centenary events around the UK during 2017, in Liverpool, Bristol, Glasgow and London. On March 28, exactly 100 years to the day since the first meeting was held in 1917 in the City of London to discuss the formation of the charity (previously known as King George’s Fund for Sailors), Seafarers UK will hold a Centenary Celebration Dinner at Guildhall. 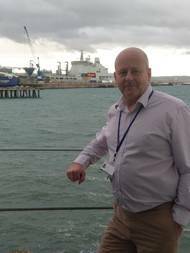 North P&I Club has strengthened its loss prevention team this month with the appointment of loss prevention executive John Southam, a master mariner with global experience in container, offshore, shipbuilding and consultancy roles. 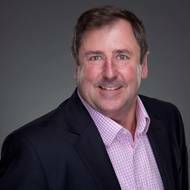 Together with the recruitment of survey executive Stephen Maclennan from the Royal Navy earlier this year, his appointment boosts the Club’s international loss prevention department to 14. Southam was previously a marine consultant and surveyor with Braemar Technical Services in London. The captain and first officer of an ocean going tug boat have been found guilty of drug trafficking following the biggest ever U.K. seizure of class A drugs, the country’s National Crime Agency (NCA) announced. The cocaine, worth an estimated potential street value of £512 million once adulterated, was found hidden aboard the Tanzanian flagged MV Hamal in April 2015. The vessel had been intercepted by the Royal Navy destroyer HMS Somerset and Border Force cutter HMC Valiant in the North Sea approximately 100 miles off the coast of Aberdeenshire. Navy nuclear submarine HMS Ambush yesterday steamed to Gibraltar – in a massive show of force against Spain. The Spanish – emboldened by Britain’s Brexit vote – demanded joint sovereignty over The Rock on the same day the shock results were announced. But the official reason given by military sources was that it was 'part of her scheduled operational tasking. Earlier this week , it was announced that the UK's submarine parachute assistance group would be in Gibraltar next week as part of ongoing mandatory training. 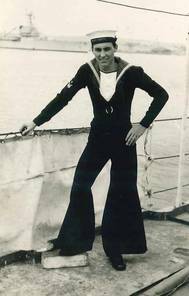 A new Liverpool City Region maritime academy is issuing a call to the public for Bootle related maritime memorabilia, especially if connected with the Battle of the Atlantic and its great hero, Capt Johnnie Walker. 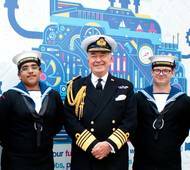 Port Academy Liverpool (PAL), which will be based in Capt Walker’s former homeport of Bootle opposite his home on Pembroke Rd, wants to create the best possible archive to celebrate Bootle’s illustrious maritime heritage and inspire young people into careers connected to the sea. 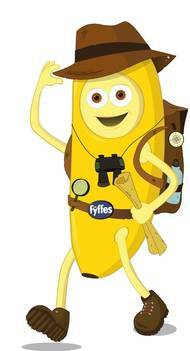 Bringing a young, fun element alongside its ongoing annual Seafarers Awareness Week campaigning, the Seafarers UK charity has partnered with Fyffes, importer and distributor of bananas, to launch a primary school educational campaign and competition. Roughly 24,000 schools across the U.K. are being invited to ask children between the ages of five and seven, How does a banana get to your lunchbox? This engaging campaign will encourage schools and children to think about the maritime world and how 95 percent of U.K. imports come by sea – including their favorite fruit – with the U.K.
Subsea technology company Sonardyne International Ltd. UK, has appointed of Geraint West as its new Global Business Manager for Oceanography. 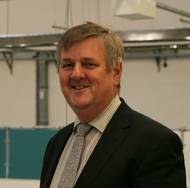 Geraint joins Sonardyne with immediate effect and brings with him extensive experience gained over 32 years with the Royal Navy, Fugro and most recently, the National Oceanography Center (NOC). 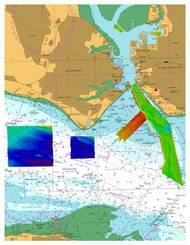 West’s early career as a hydrographic surveyor included a posting to the U.S. Naval Oceanography Office, and culminated as Charge Surveyor in the ice patrol ship, HMS Endurance. He then moved to Fugro as Project Manager for the U.S.